Call Center India | Your Call center Outsourcing Partner! Your Call center Outsourcing Partner! Technology plays a very important role in our lives. Whether it is our home or our offices, we extensively use technology to ease processes and get quick and effective solutions. 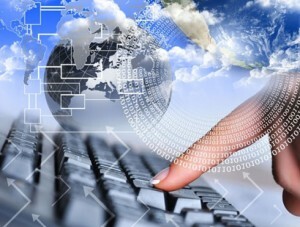 Back office support service providers are also depended on technology for delivering proper services to their clients. It is highly essential that they use the back office technology in the most appropriate and effective manner in order to get the best performance from it. 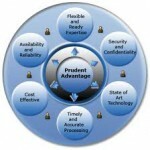 Make sure that you have the required IT infrastructure and it is performing perfectly. Apply better management skills and strategies for taking care of day to day activities. Include new technologies at your delivery center and use them wisely. Optimize all your business operations and involved resources. Try to improve the speed of problem resolution at your place and implement cross team problem solving for better results. Problems and issues should be identified at the early stages before they require expensive remedies. Monitoring the performance of the available technology is must. Further, you should also monitor the quality that you achieve from it. Monitor the availability of various technologies and get insight of what else you need. Research and prevent problems from occurring again. Use historical data and trends for planning capacity and budget of technology. Back office department is an important part of any organization. This is the place where most of the real work is done. Whether some forms are to be filled or bills are to be sent, all such tasks are being taken care of by this department. You can say that all the things necessary to keep a business moving are done here. Outsourcing back office tasks to offshore back office service providers is a good option for organizations as it reduces their workload and allows them to focus on their core business processes. Back office outsourcing can help you achieve higher efficiency and lower overhead expenses. Here are a few ways in which it helps organizations with their efficiency and expenses. Allows You To Focus On Core Tasks: By outsourcing your back office tasks to offshore vendors, you remove a huge workload from your head and are able to focus on your core business tasks. While you are focusing on your core processes, the offshore team would be taking care of your back office tasks. These people are experts in their domain and have huge experience. Thus, all your business processes would be performing superbly and your overall business efficiency would increase. Lower Cost: If you choose a vendor from Indian sub-continent region then you can expect very nominal charges for their services. The labor cost in this region is very low as compared to that in developed countries and it allows them to provide services at very low rates. Further, you won’t have to spend money on developing infrastructure and equipping it with required technologies and equipments. The cost of hiring and maintaining a permanent staff is also saved in outsourcing model. All these things help you save a huge part of your business expenses. It has been observed that you can save up-to 70% of the cost by outsourcing back office services to an offshore vendor. There are many benefits of outsourcing back office support services to offshore vendors; however, organizations should be careful while hiring a partner for their back office services. A right choice at this point can have a big positive impact on your business whereas a wrong choice could greatly hurt your business. Therefore, it is suggested that choose your outsourcing partner wisely. Back office activities comprise of those activities which are usually concerned with non-core business tasks. Outsourcing them to an experienced call center service provider could offer you great advantages. If you outsource your back office tasks to an experienced vendor having expertise in back office domain then you can surely expect huge benefits from it. We, at Call Center India, offer some of the best back office solutions to global organizations. Here are a few advantages that you expect by outsourcing your back office services. Less Paperwork: A major portion of back office tasks consists of paperwork. Managing this paperwork could be a very tiring job. By outsourcing this work to offshore vendors, you can reduce the amount of paperwork that you have to deal with. Save Money: The main reason for outsourcing any business process is usually monetary. Doing all this work on your own would require a lot of expenditure from your end. All this expenditure can be saved by outsourcing this work. Expert Resources: By outsourcing your work to a call center you get expert resources who work for you. These resources are well trained in their particular domain and hold exceptional knowledge in their field. They are capable of providing much better and effective solutions than usual employees. Focus on Core Business activities: By outsourcing your non-core tasks to offshore vendors you are able to focus on your core business activities. You are able to give more time and more attention on your core business tasks which eventually enhances your business performance. These were some of the benefits that you can get by outsourcing your back office tasks to an offshore call center service provider. However, you can expect many more advantages and superior services by outsourcing your work to us. To know more or to share your thoughts with us please leave us a comment below. Call Center India is one of the best offshore back office support services providers in the BPO industry. We deliver some of the most effective and client focused services to global organizations. Some of the reasons for hiring us include our state of the art global delivery center, strong quality assurance protocols, Expert agents and cost-effective services. Further, we assign a dedicated project manager to each client who stays in regular contact with them and makes sure that their process is running properly. Our dedication towards our clients and our adherence to high quality services makes us an ideal choice for organizations that need call center services and back office support services. The secret of an efficient back-office like Call Center in India is compliance to the efficiency cycle. 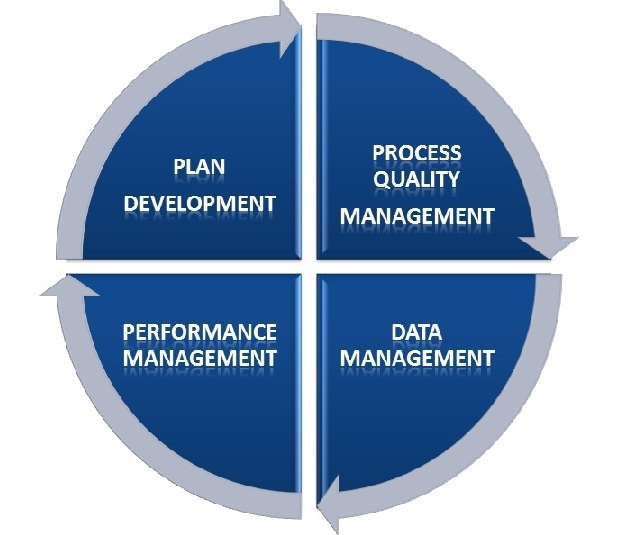 The four crucial steps of this cycle are shown below. 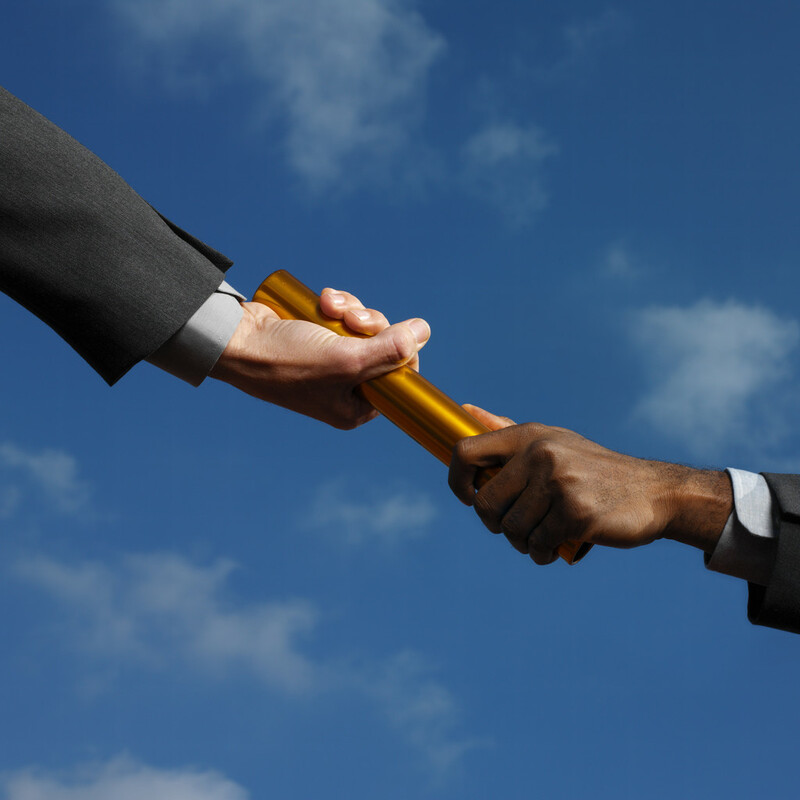 A good management at each step results into excellence in the back-office operations. It begins with development of the plan which results in a schedule of work for each person after computing the available resources and work volume. Then we have to ensure quality in the processes, by formulating a stringent quality check-mechanism.The hallmark of best offshore back-office vendors is a zero tolerance for errors. Next, we have to utilize the available data and organize the generated data. The privacy of sensitive client data is the first priority always. Finally we have to execute the process and each resource has to deliver the performance. So that the end product achieved par excellence and delights the clients. The emphasis is on punctuality of delivery to the clients in the specified turn-around time. Whatever may be the task, whether data processing or e-mail support, this efficiency cycle applies to all the back-office operations alike. Earning profit is perhaps the most important part of any business as organizations cannot survive without making a proper profit from their services. All the efforts and strategies are ultimately aimed at generating maximum profits for the business. Call centers have become a critical part of today’s business environment. Almost every industry outsources some of their business work to call center service providers as it offers them great advantages. Call centers are also organizations who work to generate profits from their activities. Mentioned below are three points that could help call centers in maximizing their profits. 1: Make the Agent Desktop Simple: We have seen that most of the call centers make their agent’s desktop complex and complicated. They think that it would enhance the performance of their agents. However, the truth is that it usually confuses agents and has a negative effect on their performance. It is suggested that you simplify the desktops of your agents and arrange it in such a way that they can easily work on it. The desktop should be simple and based on dynamic upgraded technology that could actually make their task easier. Further, there should be no decoration on their desktops at it would only distract agents from their work. 2. Dynamic Scripting: More and more call centers are moving on to dynamic scripting to guide their agents through calls. This ensures that they are able to deliver a positive and consistent customer experience. This can be done by providing an actual verbal script to them or by providing them the next steps for the call that they are handling. 3. Automate Tasks that are Routine: There are many tasks in a call center that are routine. These tasks could be easily automated as the technology is already there. Automation of these tasks would reduce some of the unnecessary workload of agents. They could divert their extra time and energy on the more important tasks that could actually help in enhancing the profits of your call center. We suggest that you start working upon the above points and then move forward to the more complex options for increasing the profits from your call center services. Whether you are offering data capturing services or call center outsourcing services, these tips would be helpful for all. Further, we would like you to share some of your own ideas that could aid call centers in enhancing their profits. Celebrations for welcoming the New Year have concluded, and now is the time for some brainstorming for the year ahead. Therefore we convened and all-staff meeting at Call Center India to determine how should we plan our next year. All of us put our ideas on the table about what can we do to make this year exceptionally successful and make our various solutions like offshore Email Support Services, order processing etc. as more efficient and effective. Some of the ideas which were endorsed by the majority were later adopted as our Vision Document and the New Year Resolutions. 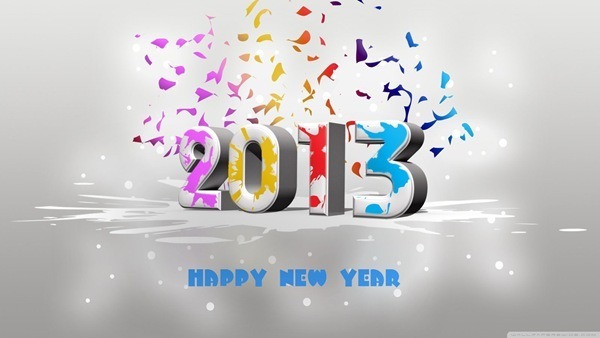 In the year 2013, we will be driven by the sole goal of ensuring 100% satisfaction of our clients. Irrespective of whether our client is a small business or a big business house, we shall always value both of them equally and ensure the highest quality services to each of our client. Often we are all eager and excited to take the first step in a new direction, but we run out of steam somewhere midway. But this year we will give priority to taking every task to its logical conclusion. Completion matters! Often we forget that time is a finite resource. While you can earn back the money you spent, but it is impossible to earn back the time which is once spent. Therefore we always treat time as extremely precious and value punctuality in all our projects of back-office outsourcing. For all the various kinds of offshore Data Entry Services, Data Capturing Services etc. that we offer, data capturing services or catalog processing services, etc. we know that ordinary work will get only ordinary results. To achieve anything extraordinary, you will have to have ideas different from the rest as well as the dedication to always strive to achieve quality. We step in the year 2013 armed with our new vision and new resolutions, with the promise of delivering excellent offshore back-office services, this year too. 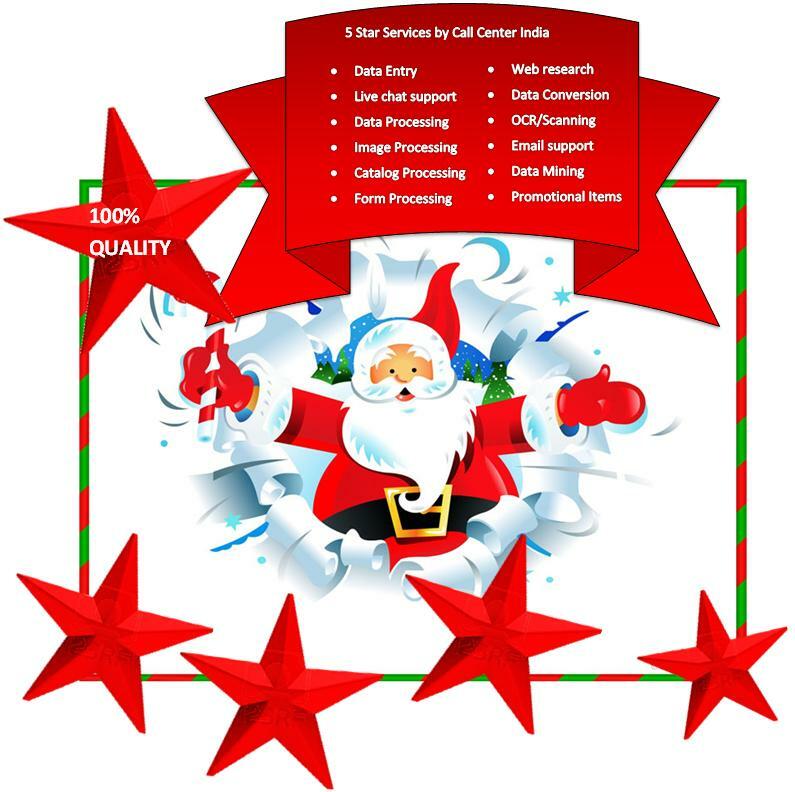 Santa at Call Center India wishes all its clients and customers with loads of happiness and prosperity this festive season. He has also revealed the formula for eternal happiness and joy – Just use from the various 5-star services from Call Center India and multiply your prosperity as well as profits. This blog post is about one of our clients who used our Form Processing Service to get record profit. One of our clients, an apparel store, participated in a trade exhibition. They had put up a stall where they had displayed their clothing line, and they had also offered tailor-made dresses to customers with 20% discount if the customer registered during the exhibition. The stall received great footfalls and thousands of people filled their Order-Request Forms to get tailor-made clothes. But when our clients returned from the exhibition, they found that there were more than 5 cartons filled with Registration Forms. Now each Form was a potential customer, so these 5 cartons were actually full of orders. But the problem was to obtain these orders from this heap of papers. This is when the clients, who had earlier outsourced their catalog processing services also to us, called us for help in Form Processing. Owing to our proven proficiency in this field, within a matter of days, all the Forms were made available to the company. The Data was entered in an Excel work sheet with answers of the form entered in different columns each. So now you could access entire contact details, order details of any person who had filled those forms. Also we sorted the data on the basis of Area of residence of customer, the gender of the customer, the kind of raw material to be stitched (denims, satin etc), the category of the order (above $100 or above $500) etc. This segregated data could now be easily be used by the Sales team to first confirm the orders and then convey them to Manufacturing Department. The Product Distribution department then ensured the timely delivery of clothes. From these 5 cartons, the company could successfully extract profit which was equivalent to their half-yearly target! Now imagine the situation, if they would have not availed the Form Processing Services. Then in spite of a successful outreach through the exhibition, the company would have not been able to capitalize the positive public response it received. Either those 5 cartons would just lie and the Forms would be junked, or the staff from different teams would have to be diverted to get entire data entry done! And in both these cases, there would be more loss than gain. So indeed our client chose the wisest option and outsource back-office solution of Form Processing. As a result of efficient processing of data into simple usable format, they could get record profits. Hopefully this small case study will convey the importance of Data Processing to every business. Every piece of Data is indeed a potential profit source! 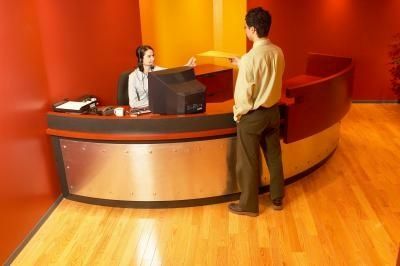 Every business wants to put their best foot forward in front of the customers and therefore the front office gets a lot of attention.The best persons are deployed at the front office and the best material equipment or technology is made available at the front office, to ensure a favorable first impression on the customers. But seldom do businesses realize that the performance of the front office is directly dependent on their back-office. You have a business which sells shoes through a showroom. Now it is immensely important for your business to have a classy showroom which displays your chic collection of shoes in a manner that accentuates their glamor appeal. So it is important for you to have a fancy décor at the showroom and courteous sales persons. But this is not enough! You also need a well- managed inventory of shoes, a robust system to manage the logistics, and a hassle-free delivery to the showroom from the place of production. If you don’t have it, then definitely your showroom will suffer as the stock will not be upgraded regularly and the sales will dip. So you can clearly see that an efficient back-office, which will execute data entry services and other miscellaneous functions, is actually the foundation of a successful front-office. This is why we at Call Center India provide you with most cost effective back-office processing services to streamline these processes. If you have haphazard functioning and inefficiency in the back-end then it will prove detrimental for all your business operations. So don’t neglect the back-office and get it back in your list of priority, otherwise despite your utmost efforts in the front-office, the business will not boom up to its true potential.